They say that knowledge is a virtue and an investment. But talking about nursing compliance concerning infection control measures, well, attitude makes a big difference, a new study says. The study entitled, "Factors for Compliance with Infection Control Practices in Home Health Care," analyzes the relationship between infection control compliance, knowledge, and attitude among home healthcare nurses, with its researchers surveying 359 home healthcare nurses in U.S, and assess their knowledge of best practices in connection to their compliance with infection control measures. The researchers found that over 90% of nurses self-reported compliance for most of the measured behaviors. Also, there was no direct correlation between knowledge of infection control practices and compliance with those practices. However, there was a relationship between the level of compliance and the participants’ favorable attitude toward infection control. Based on the findings of this study, the authors recommend that efforts to develop compliance with infection control practices should concentrate on strategies to reshape perceptions about infection risk. Changes should start on an organizational level, and seek to create a culture of positivity in relation to infection control compliance. “Infection is a leading cause of hospitalization among home healthcare patients, and nurses have a key role in reducing infection by compliance with infection control procedures in the home care setting,” Shang added. While most of the participants reported compliance on most issues, many reported lapses when it came to wearing protective equipment. Only 9% said they wear disposable facemasks when there is a possibility of a splash or splatter, and 6% said they wear goggles or eye shields when there is a possibility of exposure to bloody discharge or fluid. Presenteeism, coming into work despite being sick, has become a patient safety issue over the last few years, especially as it relates to infection control. Only 4% of participants felt it was easy for them to stay at home when they were sick, which could be a major contributor to rates of infection. 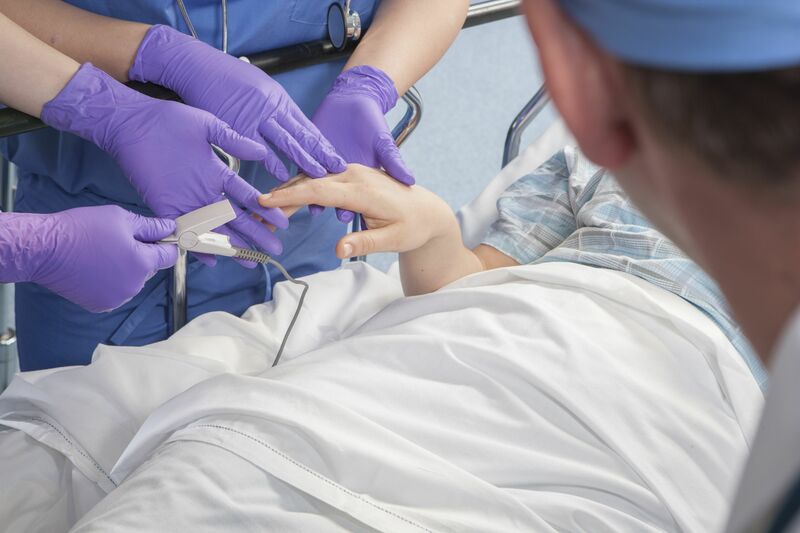 Hand hygiene is still an issue: 30% of respondents failed to identify that hand hygiene should be performed after touching a nursing bag, which could transport infectious pathogens as nurses travel between patients. Erudite Nursing Institute™ wants to uphold nurses’ positive attitude towards infection control compliance. With this, the institute desires to instill the right perception with it students, so that when they are now in the workforce, they can take full responsibility towards infection control and achieve optimum health outcomes.